Just two weeks before Election Day, join the Progressive Women’s Alliance and Michigan Truth Squad’s Susan Demas for a late look at the political situation in Michigan. No one will have been following the details of this campaign season more closely. With Michigan business analyst Rick Haglund, Demas has called fouls on false and misleading 2010 political ads for the Center for Michigan’s Truth Squad: http://www.michigantruthsquad.org. For too long some Michigan politicians and their consultants have broken trust with voters by stretching the truth and ignoring the consequences of their actions.  The Truth Squad aims to help maintain civility by informing voters about what’s true – and what’s foul – in Michigan politics. Be the ideal voter. Join PWA on October 20th to learn more about burning issues and the people wanting to represent us in government. Join us before the meeting for social/networking from 5:00 – 5:30pm. Wine will be available for purchase for $5/glass. Following the social/networking will be the program which will include Q & A, and it will go from 5:30 – 6:30pm. Susan Demas is a “referee” for the Michigan Truth Squad and a political analyst for Michigan Information & Research Service (MIRS) in Lansing, covering the state Senate and national politics. She writes a weekly syndicated column reaching three-million readers and will be a familiar face from Michigan Public Television’s “Off the Record.” Her work has been featured in more than sixty national, international and regional media outlets.